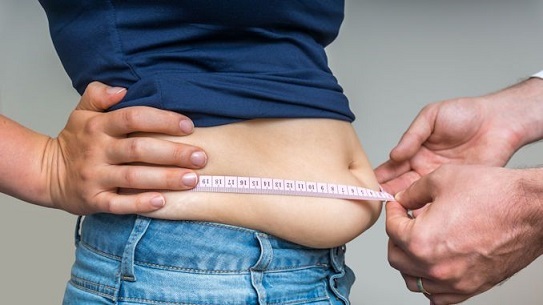 Belly fat has a serious impact on long-term health. Even a small amount of belly fat can contribute to a variety of health problems. It produces excess hormones and chemicals that affect almost every organ. Too much belly fat can cause the body to store fat in other places in the body, including around the heart. Let’s start with these remedies. Some of your belly fat if probably water retention. Dandelion herbs can help you with it. Dandelion is a natural diuretic, which means it helps you to urinate more. 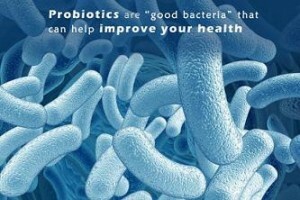 This is good because it flushes out the toxin and water from your body, especially from your belly. The best way to consume dandelion is in the form of tea. Pour 1 cup of boiling water over 1 teaspoon of dried dandelion leaves. Let simmer for 10 minutes, the strain out leaves. Squeeze 2 tablespoons of lemon juice into the tea and add some honey for a sweetener. If you have blocked bile ducts or any gall bladder related issues, please avoid having dandelion tea, because it can cause more in those cases. Cranberry juice has so many health benefits. Some of the benefits include: relief from UTI’s (Urinary Tract Infections), respiratory disorders, kidney stones, and even cancer and heart disease. Cranberry juice can be very hard to drink on its own, so you can dilute its own, so you can dilute it with some water if needed to make it more palatable. It’s also rich in organic acids, which have emulsifying effect on the fat deposits in our body. Therefore, it is good for anyone who needs to lose belly fat. Mix 1/2 cup of 100% pure cranberry juice with 2 cups of water . drink cranberry juice before each meal for best results. 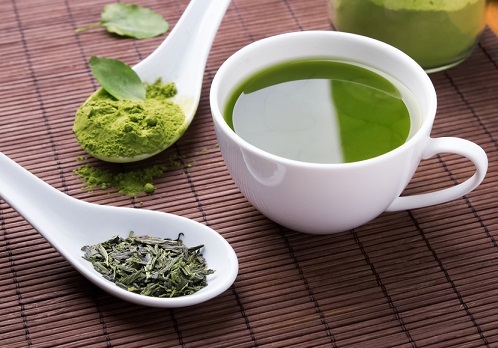 Green tea is loaded with antioxidants and nutrients that do wonder for the body. Green tea improves brain function and memory, and also fat loss. So not only will you be losing fat, you can also make yourself smarter, how about that? It can even lower the risk of cancer! Green tea boosts your metabolism which in turn helps you to burn fat. Steep 1 green tea bad in a mug of boiling water for 5-10 minutes. You can also throw some mint leaves in there while the tea is steeping. Add honey for a sweetener. Friendly reminder: it is best to drink green tea before meal. 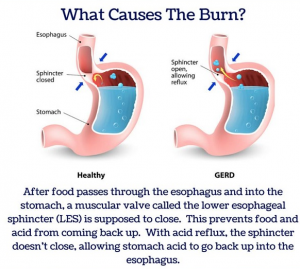 Spicy food are great for fat loss – especially hot peppers! They boost your metabolism which in turns helps you burn fat. Hot peppers contain a substance capsaicin which has thermogenic effects. It boosts your body’s heat production, which means it also uses more energy and burns more calories. You can eat hot peppers raw, cooked, or dried. Habanero peppers have the most amount of capsaicin, but cayenne pepper is great too. You can these peppers to your soups, stir fries, and other dinner dishes. Chia seeds are an amazing way to get more omega fatty acids in your diet. If you are a vegetarian or vegan and don’t eat fish, chia seeds are something you should be consuming. Chia seeds are also high in antioxidants, calcium, iron, and lots of fiber too. They keep you full longer. Try consuming at least 1 tablespoon of chia seeds a day. You can easily add them to your smoothies, cereal, or oatmeal, but you can also make chia seed pudding with some water or non dairy milk for filling and healthy snack. Although coconut oil is a fat itself, it can still help you lose belly fat. It contains unique fatty acids that have a positive effect on your metabolism. 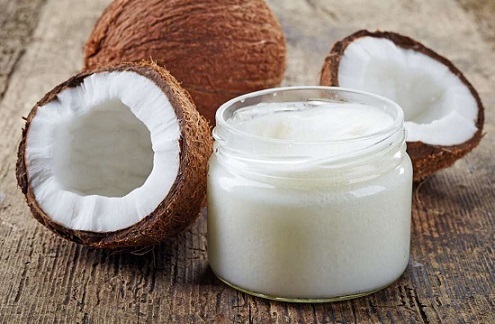 The fat in your coconut oil is used by your body as an energy source. Coconut oil is also thermogenic, so it helps your body to burn fat. Studies have been done comparing different types of oil such as coconut oil compared to soybean oil. One group of women were given 2 tablespoons of coconut oil a day, and the other group of women were given 2 tablespoons of soybean oil a day. They continued this study for a month. At the end of the month, both groups of women lost the same amount of weight, but the group that was taking coconut oil lost more weight circumference, and those who took soybean oil had an increase in belly fat. Do not add coconut oil to the oils that you already use. You should replace your cooking oils with coconut oils. Just have 1-2 tablespoons of coconut oil a day for the best results, more than that can hinder the results. Ginger is a digestive aid, so it helps you with nausea or with an upset stomach. Ginger is also thermogenic, meaning it increases your body’s temperature to let it burn fat more efficiently. Ginger also surpresses the production of cortisol, which is a stress hormone. Stress causes weight gain, so ginger helps prevent this. Drinking ginger tea daily can really help with losing belly fat. The ingredients you need to make ginger tea is 1 tablespoon of freshly grated ginger, 2 cups of water, 1 tablespoon of raw honey or pure maple syrup, and the juice from 1/2 of a lemon. Put the tea in a saucepan and bring to boil. Then add the ginger, and turn off the heat. Place the lid on the pot and let it simmer for 10 minutes. Next, strain the tea into a mug, and then add the lemon juice and sweetener, and mix. At night before bedtime is the best time to drink this tea. Exercise is a very important aspect of losing belly fat. You need to exercise your entire body, not just your belly. Make sure that you do cardio often to help burn calories/fat. A good cardio exercise would be waiting or jump rope. Don’t forget to build muscle with strength training! The more muscle you build, the faster your metabolism will be, so you will be, so you will burn more calories throughout the day. Herbs are amazing things that aren’t just used for flavouring dishes. There are some amazing fat burning herbs out there. Three popular ones are ginseng, ginger, and mint. These herbs are all fat burners; they boost your metabolism and encourage your body to burn fat. The best way to consume theses herbs would be in tea form. Make a tea with some boiled water and mixing the herbs in them, letting it steep, then straining them. You can add honey fora sweetener. It is best to drink the tea before meals. Fish oil is fatty acid that is derived from the tissues of oily fish. 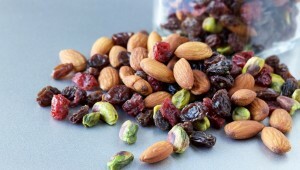 It contains lots of omega-3 fatty acids, including EPA and DHA which are very important for your health. Fish oil promotes healthy cholesterol levels, it boosts your mood and energy levels, and it helps to maintain strong bones. The acids in fish oil also help in breaking down fat while reducing fat storage around your waistline. Lemon water is amazing for losing belly fat. Lemon water detoxifies your liver. This is important because when the liver is clean, it works best and it metabolizes fat so the fat doesn’t get stored in the stomach. 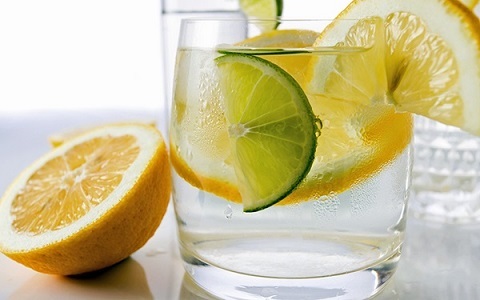 A simple recipe for lemon water is 2 cups of water, with the juice of half lemon. Don’t be afraid to add some of the zest in there as well for added benefits. All you do is squeeze the lemon into the water, grate some of the zest into the water, and then drink! The best time to drink lemon water is right in the morning before drinking or eating anything else. Cinnamon is a great fat burner. Like ginger, cinnamon is thermogenic. This means that cinnamon produces heat through metabolism stimulation. Therefore, cinnamon makes your body fat. Cinnamon also lowers your blood sugar levels and reduce the risk of diabetes. Try to include one teaspoon of ground cinnamon in your diet daily. Cinnamon is great to add to smoothies and oatmeal, and in baking as well. It is also easy to add to pancakes. Garlic is a true superfood. It is amazing for your cardiovascular system, because it reduces both systolic and diastolic blood pressure. Garlic also reduces your triglyceride levels and strengthens your immune system. Garlic even prevents weight gain because it stops your pre fat cells from converting into actual fat cells. 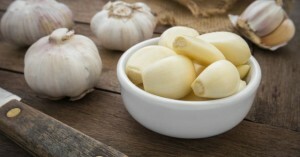 Raw garlic is especially beneficial for weight loss.